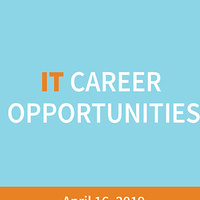 St. Louis Community College IT Career Opportunities event is exclusive to the College and seeks to fill several open positions. Interested participants should be prepared with resumes for screenings and interviews. Click the links below to learn more about each position and/or apply.